Workshops and Seminars are offered after the school day as well as during the day. 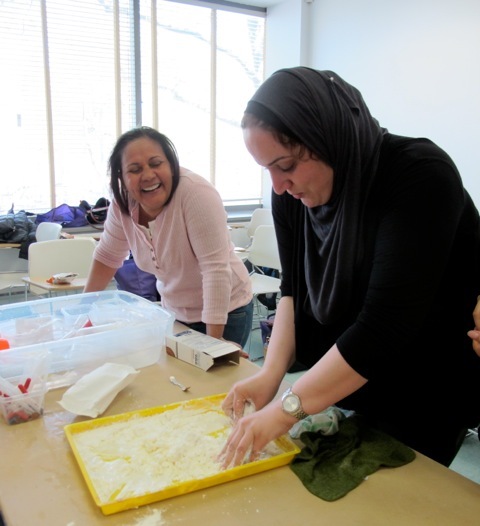 Professional Development can be held either on-site or at Lehman College. Seminars are designed to help participants develop the content knowledge and pedagogical skills necessary for effective mathematics instruction with assessment in the elementary, middle, and high school grades. All workshops and seminars are aligned with the Common Core Learning Standards. The NYCMP designs special series either in the form of workshops or study groups for educators who wish to explore a particular topic more fully. Recent topics have included mathematics and the English Language Learner, literacy strategies in mathematics, cooperative learning, use of manipulatives, and the ways in which technology can support teaching and learning in mathematics. Study groups and workshops are designed by Mathematics Project staff and school personnel. Check out our current offerings!! !